A new application from Dubai is looking to give consumers a way to feel good about their purchases. The application which is developed by the Dubai based Innoventa, a leading provider of integrated solutions in management and marketing focusing mainly on the internet and mobile spaces, was recently launched and is a great and simple idea for people to shop, get rewards and help a cause. CareZone has a neat design and is easy to use. 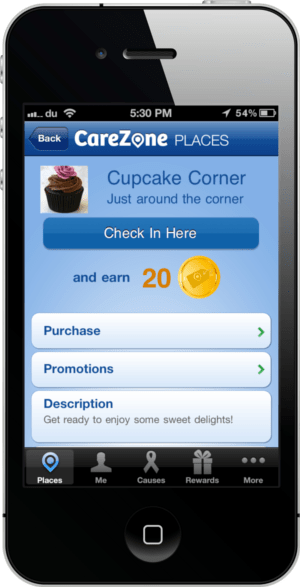 It is basically a location-based mobile app that suggests and rewards users for checking in at specific retailers that have already partnered up with Carezone. The rewards are given as coins or “CareCoins” (which go to charity) and “MyCoins” (which you can redeem at any of the partner retailers.) Users would also be eligilble to receive more coins if they make a purchase from that retailer. 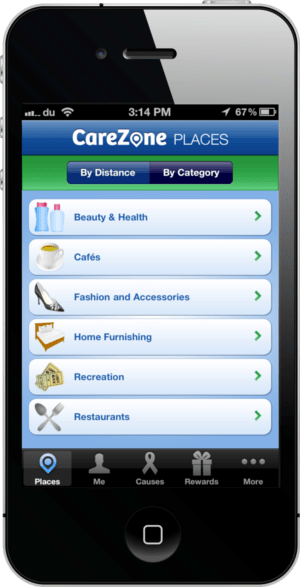 The platform uses a location-based mobile app that identifies an extensive selection of retail partners participating in CareZone. 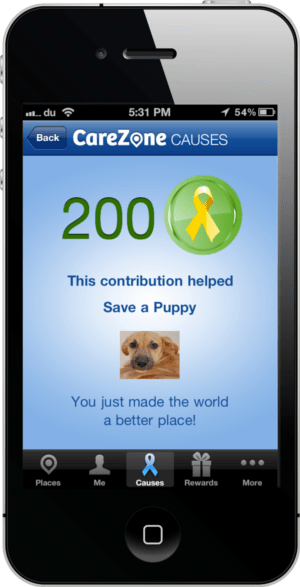 Users can see messages from brands that have made a conscious decision to be socially responsible. CareZone will also come with a social media component that allows users to share their good deeds with followers, friends and family on Facebook and Twitter, thus encouraging them to support a cause through CareZone as well. Carezone benefits both companies and consumers while facilitating support for various charitable causes. This new mobile app aims to bridge the gap between brands and consumers in a socially responsible manner. 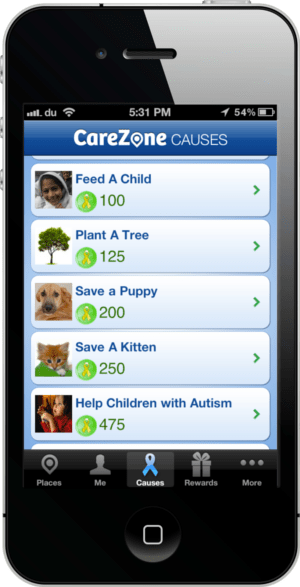 Which is where the beauty of CareZone lies, half of all the coins collected will be donated to a charity you support in a couple of simple taps from the app and CareZone has already teamed up with a number of leading charities, including Dubai Autism Centre, K9 Friends and the United Nations World Food Programme, among many others. Also, if any users would like to support any other charities all they have to do is contact the CareZone team and they will get in touch with that charity and add it on board. CareZone is currnetly available for the iPhone and in the UAE only, however plans to expand and move onto other mobile platforms are in the pipeline. You can download the application here.